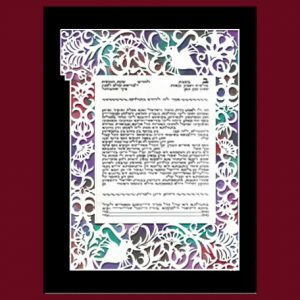 Categories: Bar and Bat Mitzva Gifts, For Parents and Grandparents, Gifts for Community Leaders, Gifts for the Jewish Home, Great Gifts for the Holidays!, Israel-Holy Land Papercuts, Jewish Wedding Gifts. 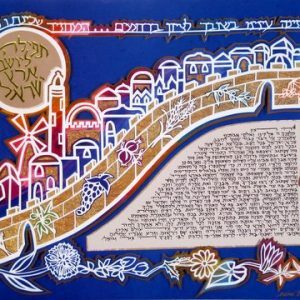 Tags: a bar mitzvah or bat mitzvah gift, a professional gift, a very narrow bridge, gesher tzaar meod, Housewarming Gift, Jewish Art, Jewish Gifts, Jewish Papercuts, Judaica, Land of Israel, Marci Wiesel. This Jewish papercut of the world is orientated with the Land of Israel at its center. Geographically, Israel is situated on the narrow pass that bridges the continents of the Eastern hemisphere. 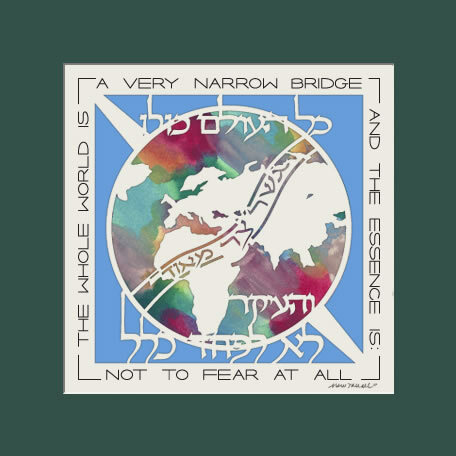 The famous Hasidic Rabbi Nachman of Breslov (Breslev) would say: Know that the whole world is just a very narrow bridge (gesher tzaar meod and marriage) and the main thing is not to fear at all. 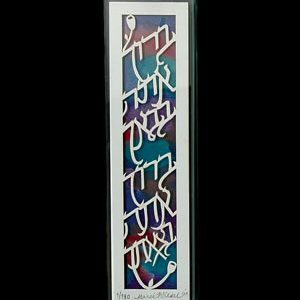 This meaningful statement provides insight to all aspects of life, and makes a beautiful gift for a Jewish home. 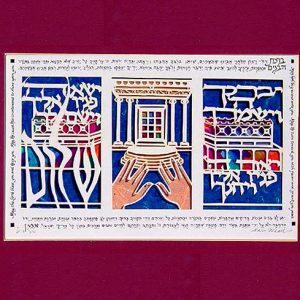 Judaica papercuts by Marci Wiesel are the perfect way to show love and appreciation as a housewarming gift, a bar mitzvah or bat mitzvah gift, a professional gift and more.